Have you ever woken up in the morning and still feel like you need a few more hours in bed? Well, there is nothing to be ashamed of because I used to feel that way too. There’s a list of essential oils that can solve that problem and give you the energy boost you desire. Let me guess, it sounds too good to be true right? I know it does but I also know that those cups of coffees you’ve been taking won’t do any good in the long run. Essential oils can energize you, refresh your body system. Finally, they can have you feeling much more alive than you’ve felt in years. Now, before you hurry to the store buy your own oil, below are the 10 best essential oils for energy. As the name implies, this oil has a fresh, tart, and orange aroma. Extracted from the peel of an orange, this oil has the ability to energize you. It does it by improving your mood and motivation. It initiates happy and positive feelings. Inhaling orange essential oil elevates your energy level. It activates the olfactory cells communicating with the brain to release energy. Especially helpful on a slow morning when you need to increase productivity. This oil also works well with other carrier oils. 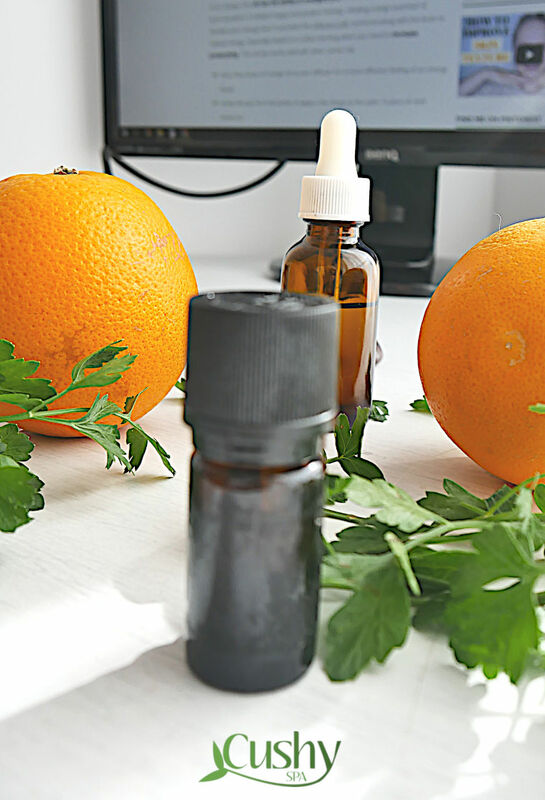 How to Use Orange Essential Oil for Energy? Add a few drops of orange oil to your diffuser for a more effective feeling of an energy boost. Inhale directly from the bottle or apply a few drops to the palm. A piece of cloth works too. Add a few drops to water and spray in the room. To get a warm and cozy feeling add 2 drops of orange oil, 3 drops cinnamon oil and 1 drop of ginger oil. Like the rest of them from the citrus family, the lime essential oil is also powerful. With a lot of health benefits attached to it, this oil is bound to elevate your mood. It is made from the lime peel and has a very sweet and tangy scent. It helps to relieve tension and clears the mind giving some room for positivity. The lime essential oil can promote energy flow. That helps you to refocus and concentrate better. 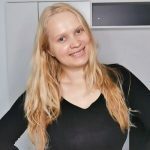 How to Use Lime Essential Oil for Low Energy? Inhaling it directly from the bottle or applying a little to your palm. Add a few drops of lime oil to bath water to give the soothing and calming feeling. Also, a nice soak. Add 2 drops of lime oil, 3 drops of frankincense oil, and 2 drops of black pepper oil. Good for the right motivation before exercise. The eucalyptus essential oil helps to stimulate the brain and increase productivity. This oil has been proven through research to be quite powerful. Mostly because of its antioxidant, anti-inflammatory, analgesic properties. Its wide range of benefits includes the treatment of asthma, ulcer, gum problems, appetite issues and many more. Eucalyptus essential oil can be used to boost your immune system and give just the right amount of energy. No matter whether you’re a recovering patient or a regular healthy person. Let me tell you this. The oil is strong. Thus, mix it with a carrier oil such as almond or jojoba before use. Don’t ever ingest it though. How to Use Eucalyptus Essential Oil to Boost Energy? Apply a few drops to your diffuser for the perfect aromatherapy. Relax and let the menthol scent take you to the right zones. Inhaling directly from the bottle, hands or a piece of cloth sends an instant kick. In the case of cold, add a few drops of eucalyptus oil to a bowl of hot water. Inhale the steam while covering your head with a towel. Do this for 5 minutes. Apply a few drops to your wrist, temple, feet as well as aching muscles. This will keep you feeling revitalized all day. Trying to get over fatigue and sluggishness? Apply a mixture containing 1 drop of eucalyptus, 1 drop of lemongrass and 1 drop of rosemary oil to your diffuser. The blend will give you that instant boost to get through the day. Looking for a great way to relieve fatigue? Then the peppermint essential oil is one way to look. This oil is one from the mint family, with a strong concentration of menthol in it. The oil has the ability to instantly teleport you from the feeling of fatigue to a feeling of relief. Peppermint oil is known to contain antibacterial, antiviral, antifungal and analgesic properties. They make it a medical powerhouse as well as an instant energizer. The essential oil will give the body the right push to getting out of fatigue. How to Use Peppermint Essential Oil to Boost Positivity? Add peppermint oil to a diffuser. It’ll give the room that fresh minty scent to help keep you active and feeling positive all day. Inhaling directly from the bottle will give you the right push of activeness. That is great before exercise. Keeping peppermint oil scent on you is a great way to keep the brain stimulated all day. Apply on the neck, shoulders, wrist to keep you concentrated. Also, add a drop of rosehip oil to a drop of peppermint oil and apply under the nose. Add a few drops of peppermint oil and Epsom salt to your bath water. The mix will stimulate the perfect relaxation and energy rise at the same time. Boost your energy with a mixed blend of 2 drops of ginger, 6 drops of basil, 6 drops of peppermint, 8 drops of elemi and 9 drops of rosemary oil. Add to your diffuser and feel the energy rush through you. One way to get energy levels up is when there’s a rush of adrenaline. This, as a matter of fact, is one thing that keeps the human body active. The basil essential oil helps to stimulate the adrenal glands. It, in turn, helps to activate the energy rush. This oil is very effective when it comes to relieving mental fatigue. 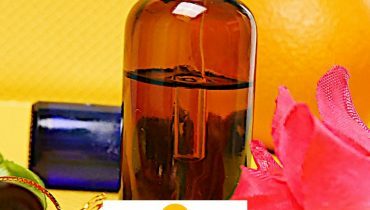 In as much as this oil is very effective, you shouldn’t use it during pregnancy. There are two types of basil oil which are available. The French and the Exotic basil oil are both great. But, French basil oil is more effective. The beauty of basil oil is its ability to mix well with other carrier oils. That includes lime, rosemary, and spearmint oil to mention a few. How to Use Basil Essential Oil to Boost Positivity? Add 2 drops of basil oil, 1 drop peppermint oil and 3 drops of lemongrass oil to your diffuser. Enjoy the instant relief from stress and increase energy flow through your body. You can also combine 1 drop of basil oil, 2 drops of lavender oil and 2 drops of pine oil in your diffuser. Thus, you’ll get that beautiful pure refreshing mountain air to keep you active all day. When it comes to essential oils, there are some that are more popular in terms of usage and benefits. Lavender essential oil is one that tops the list of famous essential oils. This is owing to its wide range of uses. The lavender essential oil has a strong scent which helps to boost energy levels and increase concentration. There’s nothing that says increase energy better than an elevated mood. It can be achieved by a relaxed mind free from stress and agitation. Lavender oil is also very active in producing a good night sleep. It’s a sleep enhancer which is perfect for the treatment of insomnia. Having a perfect night sleep keeps the body fresh and active in the morning leading to a very productive day. How to Use Lavender Essential Oil to Increase Energy? Apply a few drops of lavender oil to your palms or a piece of cloth. Afterward, inhale it deeply opening up your senses to the strong beautiful feeling of calmness. You can also apply topically to the temple. Thus, massage it on the wrist, and under the feet to promote good night rest. 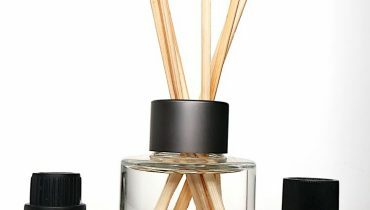 Combine a mixture of 2 drops of lavender, 2 drops of pine and 1 drop of basil oil in a diffuser. The blend will help with the feeling of the fresh morning wake up air. Cinnamon essential oils are also very effective energy boosters. Reduced blood sugar in the body leads to cravings which eventually lead to weight gain, fatigue, and low energy levels. It is an immune booster and helps you to fight against infections and viruses. It helps to increase the blood flow to the brain, as well as regulate the blood sugar levels. How to Use Cinnamon Essential Oil for Energy and Focus? Adding a few drops to your palm or a piece of cloth. Afterward, inhale it and let the spicy scent brighten up your mood. Add cinnamon essential oil to your diffuser to give your room an uplifting smell of festivity and agility. 3 drops of cinnamon oil, 2 drops orange oil and 1 drop of ginger oil do for a good blend. Anxiety and depression are some of the major energy drainers there is. Anxiety can lead to loss of sleep followed by overthinking. It can leave one depressed. Frankincense essential oil has a positive effect on the limbic system. It balances the energy levels through the amazing long lasting uplifting aroma. The oil fights off anxiety and depression as a result of sesquiterpenes. These are the molecules that can cross the blood-brain barrier. How to Use Frankincense Essential Oil for Energy and Motivation? Apply a few drops to the wrists, neck and below the feet for a long-lasting feeling of energy rush through the day. You can also combine the frankincense oil with a carrier oil such as argan oil or jojoba oil. Add a few drops of frankincense oil to your diffuser to initiate calmness as well as elevated energy levels. Rosemary essential oil has been proven to be effective in fighting mental fatigue. This oil helps to increase the flow of blood to the cerebrum. That increases mental and physical alertness. Blending perfectly with other energy boosting essential oils such as lime, spearmint, peppermint, and basil. The rosemary essential oil is very active in fighting off low energy levels. This oil acts as a natural stimulant. However, don’t use it during pregnancy. How to Use Rosemary Essential Oil to Stay Energetic? Going through a busy day at work? Apply a few drops of rosemary oil to your palms or a piece of cloth. Afterward, drown your senses in the wonderful aroma of this oil to relieve the stress. Perfect for massaging the body to give that relaxing feeling and energy increase. Add a few drops of the oil to your diffuser to give the room a long-lasting sense of positive energy. In the case of feeling fatigue in the morning add 1 drop of rosemary oil, 1 drop of eucalyptus oil and 1 drop of lemongrass essential oil. The blend will give you the right wake up call. Lack of proper sleep can lead to tiredness as well as low energy level and moods. The cedarwood essential oil has a reputation for being known as a great stress reliever. How to Use Cedarwood Essential Oil for Improving Sleep? Add a few drops to your palm or a piece of cloth or inhale directly from the bottle. At night add a few drops to your diffuser to help stimulate your sleep patterns. As much as essential oils are beneficial in helping energize the body and mind. Note also that they will not bring permanent solutions to serious health issues. Essential oils are meant to help boost longevity, as well as your general well-being. They can also boost a healing process but this should be under the supervision of doctors in case of allergic reactions. 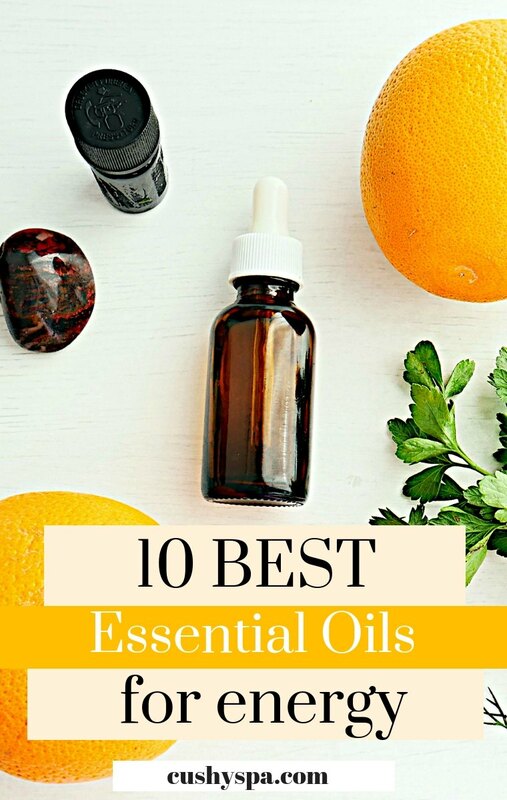 Anyway, I hope you enjoyed these 10 best essential oils for energy. I am happy you found it helpful, Doris! Have a lovely day!